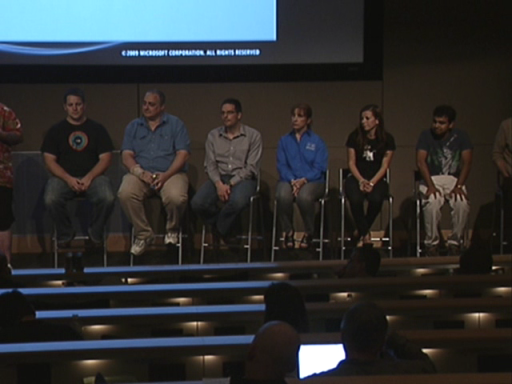 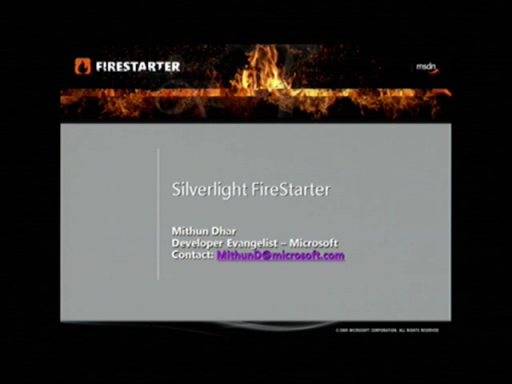 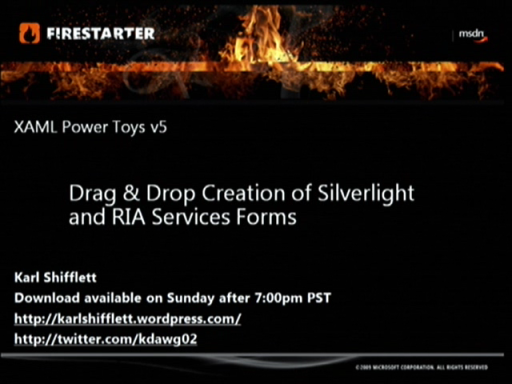 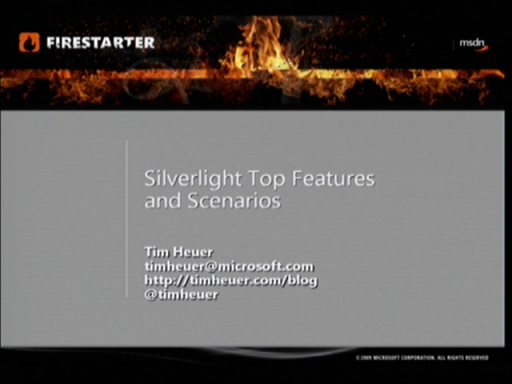 The Microsoft Silverlight 3 FireStarter sessions took place in Redmond, WA on Thursday, September 17th. 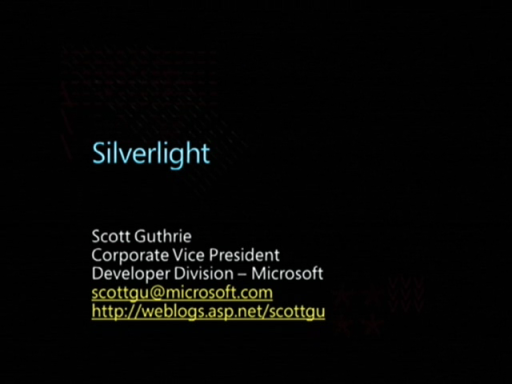 There was a stellar line-up of Microsoft speakers, including a keynote from Scott Guthrie and presentations from Tim Heuer, Brad Abrams, Karl Shifflett and other community leaders. 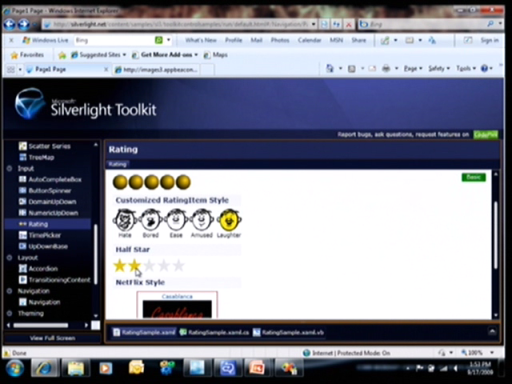 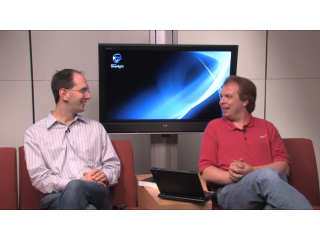 You'll learn what's new and noteworthy in the latest releases of Silverlight and Microsoft Expression 3. 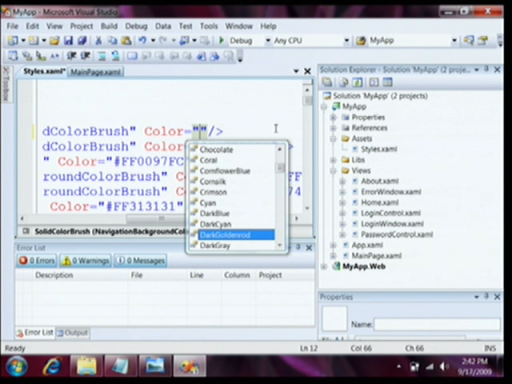 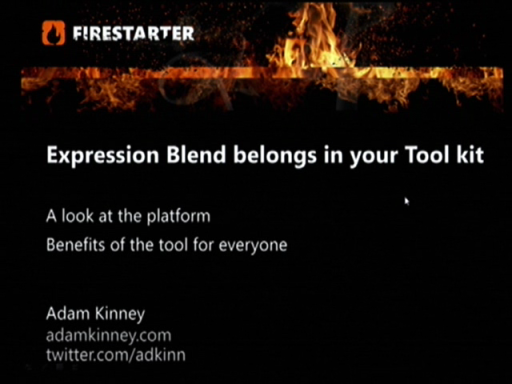 This session covers sketch flow with Microsoft Expression Blend.